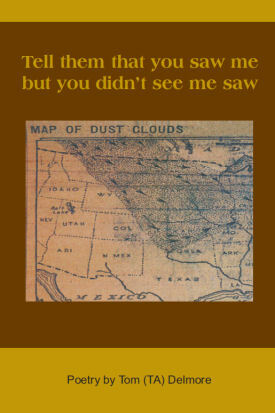 These are poems inspired by the iconic Dorothea Lange photographs of 1930s Dust Bowl families. They are as immediate as hunger or thirst, sad, joyful and have the enduring rhythms of folk songs. I could feel the grit of these poems as surely as if I had chewed on a biscuit that had fallen on the ground. The images were like bits of sand and dirt being ground between my teeth but I had to chew nonetheless because it is all there is to eat. Elvira, we planted these taters! Will not roost but they will feed.